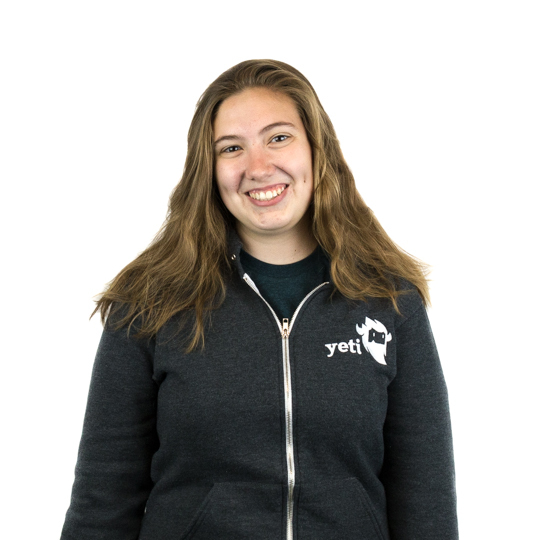 Yeti recently released a post on The Physical Web which uses browsers such as Chrome to scan for URLs emitted from beacons. 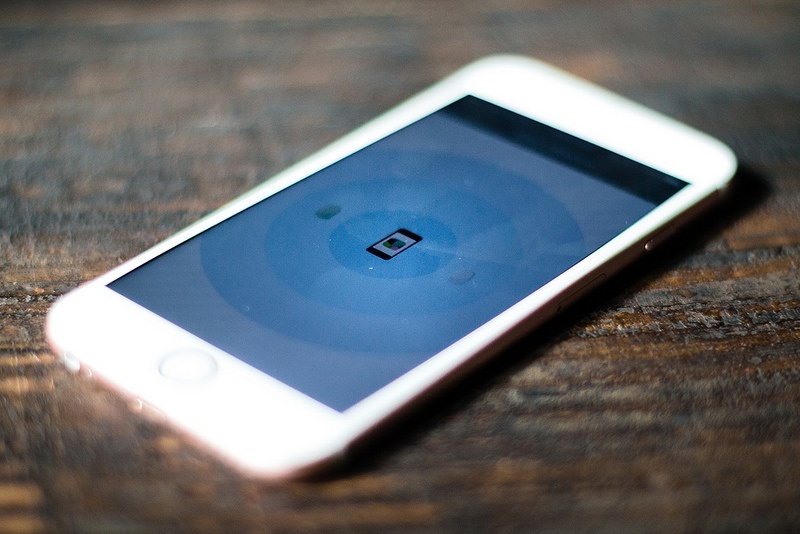 We’ve continued to experiment with beacons and explore possible applications for them. Beacons can create a better experience for consumers and provide companies with information about customer behavior. Companies have increased mobile app downloads by 600% after integrating beacons. This article is meant to summarize our discoveries and provide more information on beacons and their potential uses. Beacons are small devices that utilize Bluetooth™ Low Energy (BLE) to constantly emit a signal. The main beacon specifications, Apple’s iBeacon™ and Google’s Eddystone™, currently offer only a few different signal broadcast formats. The format directly affects the battery life, which can last months before dying. The signal can range from a few feet to 100 meters, but larger ranges also cause the battery to drain faster. Beacons provide greater accuracy in locations based services by creating proximity awareness. All beacons transmit a universally unique identifier (UUID), a major, and a minor. This information can be used by a device to identify a specific beacon. You can also group beacons together using the beacon identifiers; a UUID might represent a chain of department stores, the major might represent location, and the minor might represent different store sections. Your mobile device can then sense when you’re nearing the checkout counter or approaching the clothing department. Introduced by Apple in 2013, the iBeacon specification works with the Location Services on your iPhone to alert the device when you’re entering or leaving a beacon’s range. The iBeacon specification limits your user base by only working with iOS. 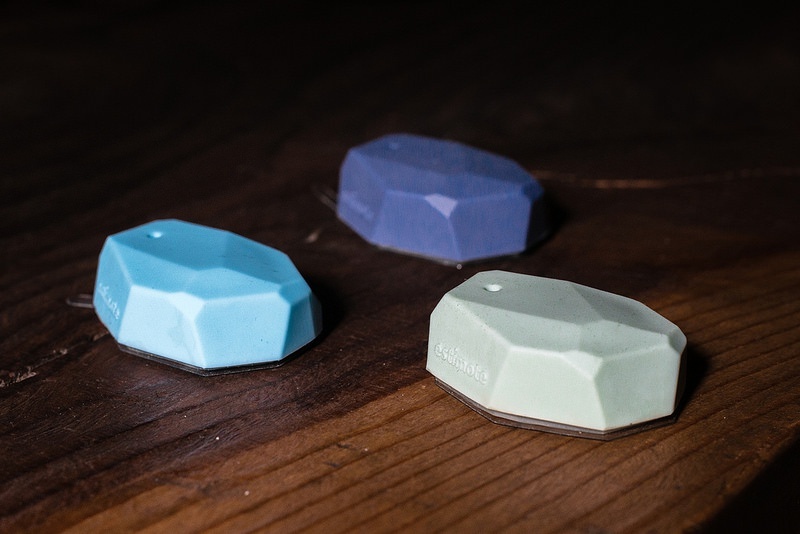 Google soon released their own specification for beacons with multiple broadcasting formats. The Eddystone specification works with Android and iOS and is open source. Eddystone-UID broadcasts the same information as the iBeacon format, but beacons using the Eddystone-URL format send out a URL in addition to information about the UUID, major, and minor. These URLs can interact with your phone using The Physical Web. Eddystone-TLM is another signal format that is sent out by default when your beacon is low on energy. When we first started working with beacons we soon recognized that we were restricted by the limited signal formats available for beacons. Beacons can only transmit information specified by their broadcast format. They cannot receive or transmit any additional information, so any tasks have to be run by the device that receives the signal. The user has to download an app in order to scan for the beacon signal and perform any additional functionality. Deployment may be another issue for businesses hoping to integrate beacons into their customer experience. 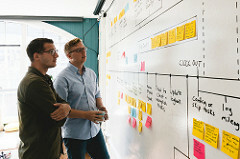 Large companies may be able to pay beacon producers for installation and other related software, but smaller businesses may have to deal with installing the devices themselves. Beacon producers could also charge companies for re-installation when the batteries start to die to avoid losing signal strength. Most beacons are supposed to have a lifespan of several months, but we noticed that the range and strength of the signal became significantly weaker as we continued experimenting. This made it difficult to test the precision and the range of the signal and we sometimes had to deal with a delayed response when testing a project. Most beacons aren’t designed with replaceable batteries or chargers, so short of ripping the beacon open or buying a new one, we couldn’t do much to improve the beacon’s accuracy. Some beacon companies will agree to replace the beacons after a certain amount of time in order to avoid losing signal strength, but this may not be an option for smaller businesses. Since beacons emit public signals, people have expressed concerns over security risks. One risk is piggybacking and hijacking your beacon’s signal. Someone could capture the UUID, major, and minor and use them in their app. Furthermore, they could copy your beacon’s configuration, so their own device sends out the same signal as your beacon. However, many beacon companies have crafted their own solutions to prevent unauthorized users from finding beacon information. Google has even released Eddystone-EID, which is a signal emitted from an Eddystone-enabled beacon at random intervals to prevent hijacking and spoofing. Eddystone-EID works simultaneously with other Eddystone formats. The best way to work with beacons is using a mobile app, which can receive the beacon signal and perform programmed tasks. Apps can scan for beacons in the background and sense when your phone enters or exits a beacon’s range. Once the mobile app receives information from the beacon, it can use that to determine the user’s location. Retail is often cited as a target industry for beacons. Using beacons at retail locations can help personalize the experience for customers by interacting with them based on their location. An improved reward system can award store members points based on time spent at their store. You can notify customers about deals and sales when they approach different sections of the store, and alert shoppers to similar products. You can even provide an accurate map from the customer’s current location directly to a desired item. Beacons allow retailers to gather analytics about customer behavior, such as the time spent in store and the areas customers spend the most time. Using these insights, retailers can enhance their store layout and learn about customers’ preferences. By tracking where the user spends the most time in the store, retailers can develop specialized deals and recommend products for the customer. What if you don’t want to make the user download an app? Eddystone beacons can work directly with certain browsers to send a silent notification to your phone, including a link to a desired web page. Beacons can also work with Apple Passes, so that your pass is displayed on your lock screen when it approaches a beacon. This gives the customer easy access to their coupon, boarding pass, or ticket. So far we’ve talked about use cases where the beacon remains stationary and the customer interacts with it using a mobile device. What if users carried beacons with them, and their environment could recognize when the user was approaching? For instance, a beacon could be put into a car key, which would unlock the car as the owner approached and lock when the owner walked away. At Yeti, we decided to experiment with this concept in order to learn more about beacons. We used a Raspberry Pi with a Bluetooth scanner to scan for beacons in the area, and tested sending information to a database. 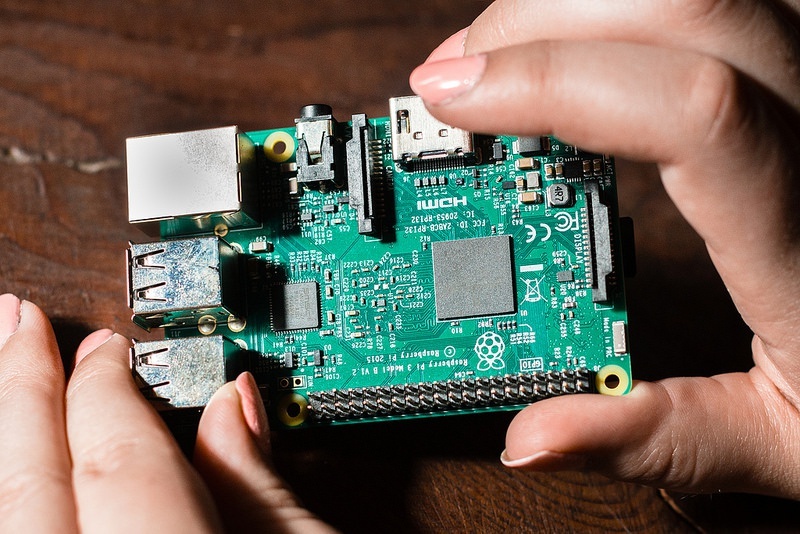 The Pi could be programmed to look for specific beacons, and even associated different beacons with different users. In the future, tourist attractions could use beacons to track visitor’s movements, and make their environment interactive and responsive to that specific user. Retailers, theme parks, and airports have already set up beacons at their locations around the globe. By adding real world context, companies have been able to increase mobile app downloads and provide a more personalized customer experience. Beacons are still only a few years old, so there are still opportunities to explore the different possibilities for beacons and adopt early. Sarada Symonds is a Yeti Alum. Sarada Symonds is a co-op who is neither funny nor self aware enough to write a good description of herself. When not struggling over writing a bio, she enjoys learning about new technologies, planning revenge coups, and chai tea lattes. 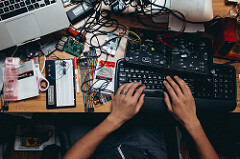 Want to build awesome things for your job?